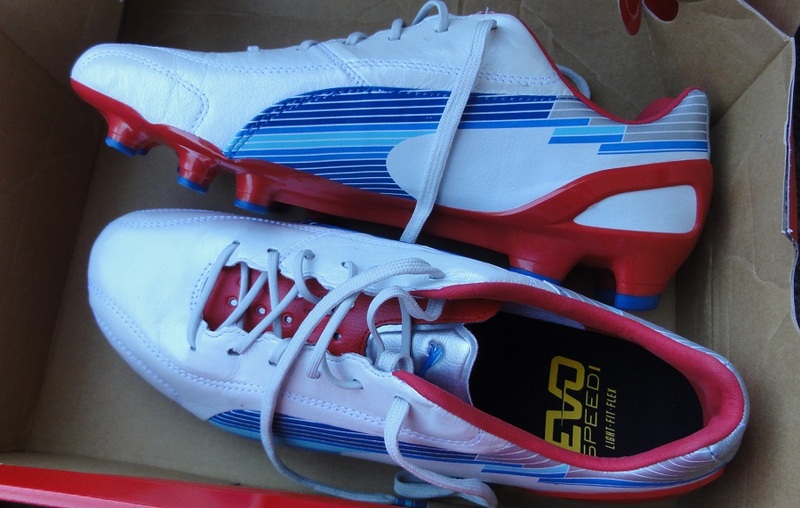 There are several reasons I am excited to test the new Puma evoSPEED 1. Nothing about the boot is extra special and they don’t feature any unique technology, but Puma has made a brave step in transitioning their speed boot away from the V-series design and onto a more streamlined, contemporary look. In a sense, they have taken the V1.11 SL (one of my preferred boots) and turned into into their new primary speed release! This pair that arrived in is actually the K-Leather version, coming in a White/Limoges/Ribbon Red. Since their release, I haven’t been too overly impressed with the design but in person it is a different story, and the K-leather version has some serious attitude. Price wise, they come in at $179.99 and both release colorways are available today for delivery from WeGotSoccer. Check out the video below for a more up-close look at the boot. can't wait for the review of this! Not a fan of the colors and what's up with the toe stud? I'm also going to miss the blades since this type of stud is usually uncomfortable for me on astroturf.